The new and potentially dangerous design was specially made for the 2018 FIFA World Cup Russia™. They wanted to please football fans, but failed. 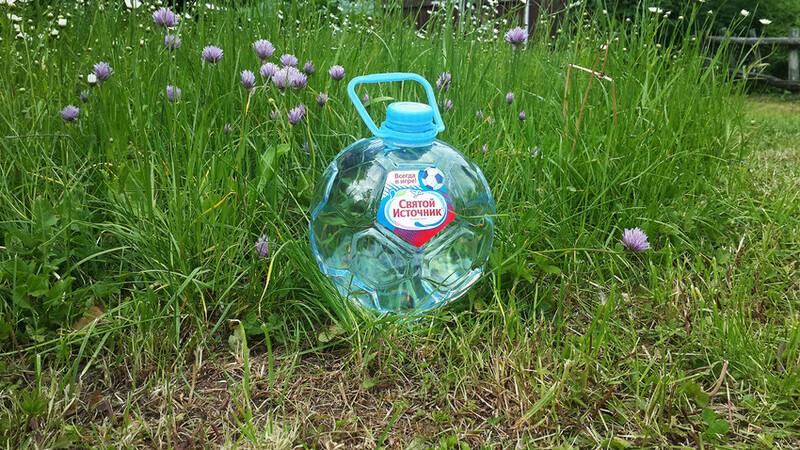 Svyatoy Istochnik, a Russian bottled water producer, presented a new football-inspired, ball-shaped bottle. The design is spacious, original and round, but there is one major flaw: it can be used to start fires! Customers realized that they could ignite matches and paper by refracting the sun’s rays with the ball-shaped bottle, which can serve as a magnifying glass. The experiments, filmed on camera, show that the bottle is capable of starting a fire on a hot sunny day. The company, however, assured (in Russian) journalists that the bottles were safe… if you “keep them in a dark room.” A bottle’s form is not regulated by the state in Russia, and therefore the company is unlikely to have violated any norms. This does not rule out the risk of fire, so don’t leave your bottle outside under the summer sun, if you dare to buy one. Learn more about the 2018 FIFA World Cup Russia™ here.